Made to crush the deeply frozen skulls. 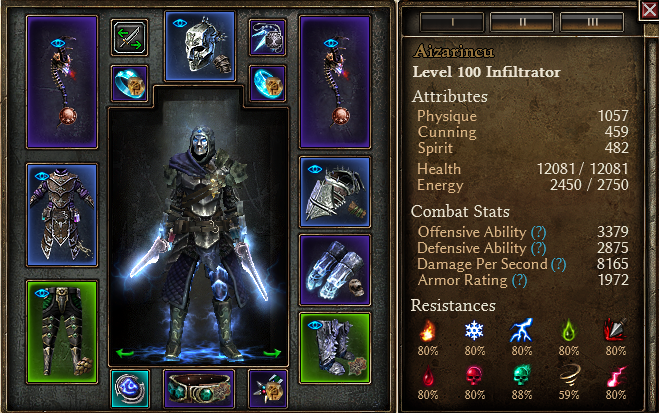 It's mainly a caster build based on Rune of Hagarrad and Rune of Kalastor heavily converted to cold. 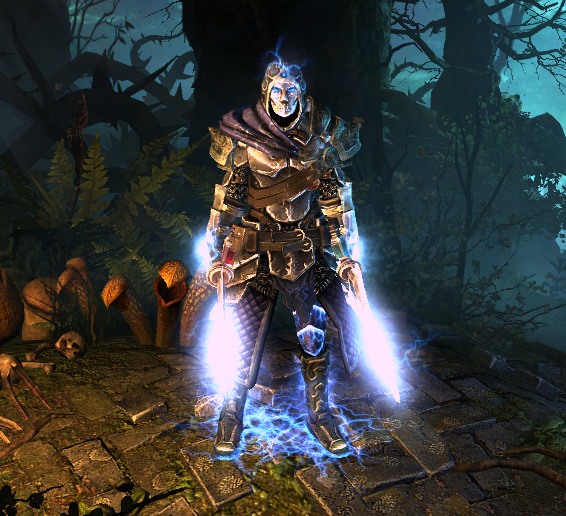 It's an evolution of my previous Gin Yursis build using nearly the same gear and devotions, but different mechanics to deal damage. 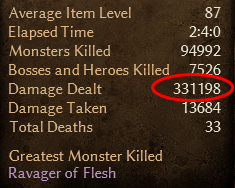 Approved to farm Gladiator/170 with ease (9 minutes average time). Approved to easily kill Ravager if you pilot this build correctly (17 minutes last time). Classic kiting caster: drop runes and run away, shot the ABB if you're safe. Essential changes to beat Ravager: just swap rings for any 2 Stalwart ones to ensure you won't be critted, and that's it. Last edited by veretragna; 06-23-2018 at 09:10 PM. This is my take on. Since my character is only in the mid 60s, I was not yet able to optimise it. Since I do not aim for Crucible or farming for good MIs, my build usually tend to be a bit ineffective. another stalwart build great job! Build with, let's say, 3200 DA still can complete 170, but is very edgy. And you must kite like headless chicken all the way. But when patch hits, things will change. Looks nice. The real cold rune master. P.S: Have similar concept on Hagarrad rune build. Hope Rimetongue set from upcoming patch will give us more options. x1x1x1x2's Fire Hagarrad, Veretragna's previous build and my own Cataclysm Vindicator can do it w/o too high DA, but DA meta takes the edge off and makes you feel a little safer. Hope Rimetongue set from upcoming patch will give us more options. Especially Rimetongue Pendant! +% Pierce and Cold damage, additional RR proc, and +1 to Inquisitor and Nightblade will make this amulet very BiS for every Pierce or Cold infiltrator. UPD: Or even pierce blademaster. Last edited by veretragna; 05-10-2018 at 12:49 PM. Nice one. Rune stronk lol. Btw, I find it weird for you to have Haunted steel and Coldstone in a build that doesn't focus on weapon damage. Os there any particular reason for that? I think Chillspike seals are better especially since you don't have much OA before lethal. Coldstone gives +100% cold damage, while Seal of the Night gives only 50%. I don't want to take the chillspikes because shooting 'em breaks our kiting. It seems more dangerous for me to stop and shoot the spikes. Haunted steel provides some ADCtH against trash enemies (especially when applied through ABB to all enemies in radius), so I decided to leave it. If ADCtH was useless, I'd take one more Coldstone to boost Rune's damage even more. OA is totally not a problem because of Rune of Hagarrad DA shred, effective real OA is near 3200 without Lethal Assault.